The office staff is always friendly. Dr. Saeks takes my concerns seriously and is very compassionate and professional.His medical assistant Sindy is great about returning calls right away and addressing my questions. The office staff is always friendly. Dr. Saeks takes my concerns seriously and is very compassionate and professional. His medical assistant Sindy is great about returning callsright away and addressing my questions. My visit here @ Dr Saeks was exceptional. From the staff to the Dr. itself. Great with his explanations. Super withbed side manners at the time of surgery. OH and his MA Sindy Sanchez, The Best. All my questions were answered and delivered in a timely matter. My visit here @ Dr Saeks was exceptional. From the staff to the Dr. itself. Great with his explanations. Super with bed side manners at the time of surgery. OH andhis MA Sindy Sanchez, The Best. All my questions were answered and delivered in a timely matter. 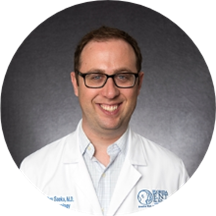 Dr. Jeffrey Saeks is an ear, nose, and throat doctor, who completed medical education at the University of Missouri, Columbia. He then went on to pursue a residency in otolaryngology at the University of South Florida. He is a skilled and well-experienced provider with a keen interest in research. Dr. Saeks has extensive work experience and is involved in several social, voluntary, and community activities. He is an esteemed member of the American Medical Association, the American College of Physicians, and the American Academy of Otolaryngology-Head and Neck Surgery. Dr. Saeks is committed to providing quality and comprehensive medical care to his patients. His cheerful nature and a genuinely caring attitude make his patients feel at home. He is a favorite among kids who insist that he does their treatment. Currently, he works at Florida E.N.T. and Allergy and sees patients for nose problems, sore throat, vertigo, ear infection, and asthma. While away from work, he enjoys snow skiing, golf, racquetball, squash, taking his dog to the beach, and spending quality time with friends and family. It was like, a home away from home the people are soo caring, kind and very professional and very helpful. They took great care of me from start to finish. Dr. Saeks what a wonderful Doctor and his asst. Ms. Sindyis so wonderful she was like my own personal asst. I love her. The staff was just great. I am soo thankful to have had the chor to be cared for by their staff.